By way of comparison, the neighbouring and smaller site (1.2acres) of the former London Park Hotel was bought by a government agency for £17.7m in 2004. New shopping centre owners Delancey had to pay £40m for another neighbouring site (Tribeca Square - 1.5 acres) to property developer Eadon Ltd, who thereby made a handsome profit having bought the land for just £18m from the council in March 2007. 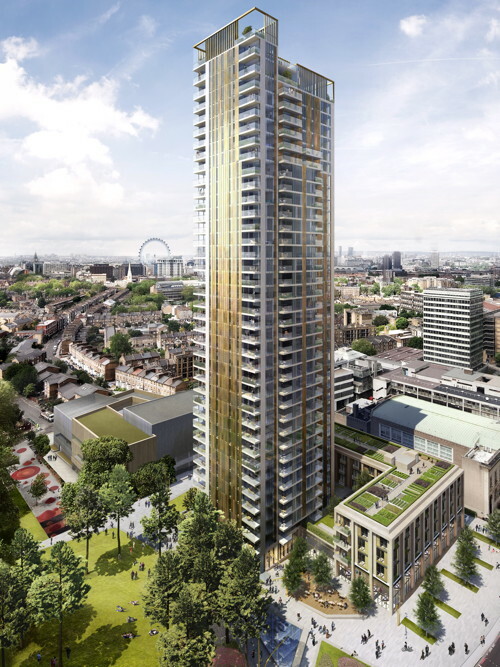 The 284-unit ‘One the Elephant’ development came under fire from London Assembly members in October last year for proposing no affordable housing. Instead Lend Lease proposed a payment of £3.5m towards the £25m cost of the new (pint-size) leisure centre. This payment is a fraction of Southwark’s affordable housing policy tariff, which should have netted it £33.2m. On the other hand 61% of Lend Lease’s new homes at the Elephant have been pre-sold off plan to overseas buyers. 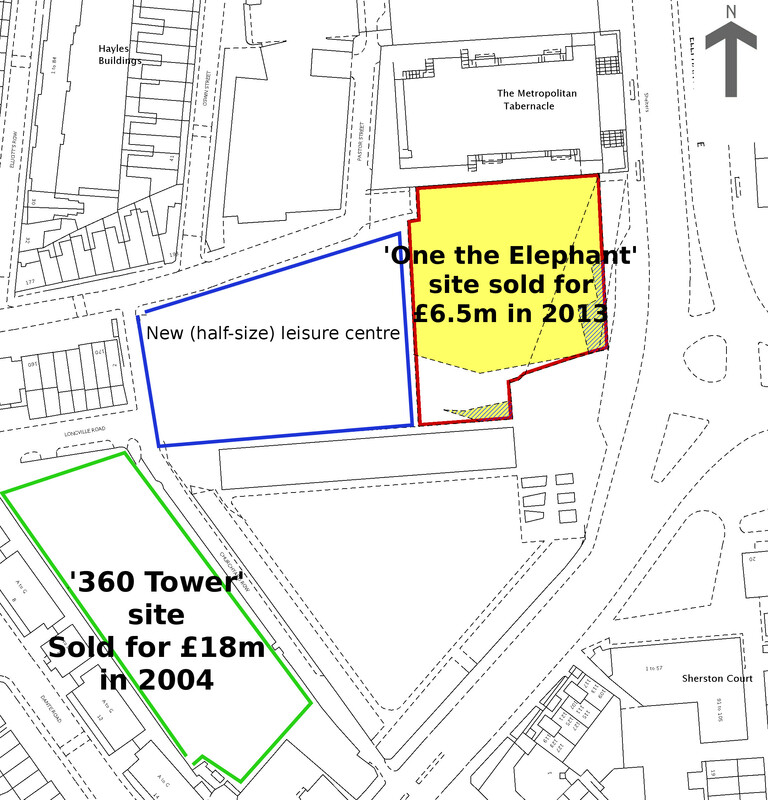 The Land Registry documents also reveal that 10 of the new flats at ‘One the Elephant’ had even been sold before the land sale had even been processed. Of the 10 new owners registered 6 come from overseas: - 4 from Singapore; 1 from British Virgin Islands; 1 from Hong Kong; and the remaining 4 were snapped up by UK-based property investment companies. The buoyant sales are undoubtedly due in part to Lend Lease’s sales pitch that new homes would have a brand new leisure centre on their doorstep. Once completed, Lend Lease’s ‘One the Elephant’ development is expected to be worth around £230m1. The revelation comes amidst separate news that council chiefs had ignored the results of a public poll created in order to name the new leisure centre, in favour of a suggestion put forward by Lend Lease. In October 2012, government body Sport for England criticised the council’s plans to reduce the size of sports facilities at the leisure centre site. The deal that allows Lend Lease to maximise its profits by selling abroad and minimise its costs by cutting affordable housing, is justified by a notorious viability assessment. 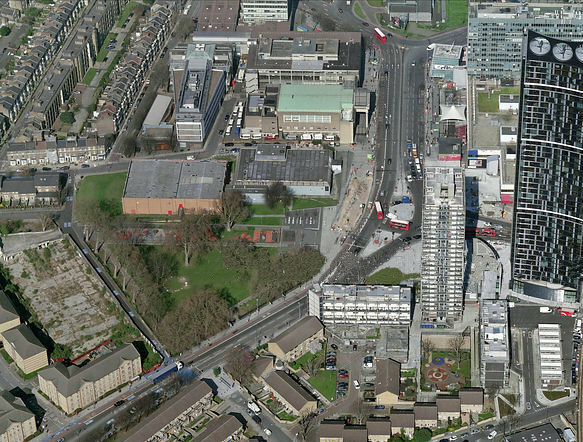 A similar assessment was used for the Heygate planning application, and in July 2013 the Information Commissioner ruled that it is heavily in the public interest that the public should get the chance to see the facts and figures behind Lend Lease’s claim that they could not afford all the Heygate’s affordable housing. The Tribunal hearing is due to take place on 3rd to 7th February. Joining Lend Lease and Southwark in the noble cause of defending the developer’s rights to know everything and tell the public next to nothing, are Boris Johnson’s Greater London Authority and one of the world’s largest real estate firms Savills. Amongst the arguments being put forward by Lend Lease is that disclosure would be a breach of its human rights under article 1 of the Human Rights Act. Council leader Peter John gave his reasons for resisting the Information Commissioner’s decision in a statement during a recent council meeting. He conceded that revealing the figures might not have any adverse impact on Southwark housing developments at all, but he is worried about the impact it could have on property developers elsewhere in the country, who may decide that it is better not to build unless they can keep their finances secret. We don’t think that Cllr John should worry too much about property developers - they are well able to look after themselves and when it suits them they are also happy enough to reveal viability assessments. The assessments for all of these developments were revealed at planning appeal stage and nonetheless proceeded merrily. It should be noted that most of these developments didn’t entail the huge transfer of public land that the Heygate development requires. So the case for revealing the facts and the figures that allowed this to happen - without getting the affordable housing in return - is that much stronger, and as the Information Commissioner said in his report: disclosure is “heavily in the public interest”.